We sometimes opt for a drink to try and change the way we feel. It could be our way of relaxing, celebrating, or just a way to forget about a long day at work. Of concern is the fact that most people try to mask depression, anxiety or other mental issues by drinking. Alcohol usually has a temporary effect on our mood. In the long term, it can result in psychological effects. Alcohol is associated with many problems ranging from memory loss and depression to committing suicide. Alcohol numbs your emotions making you feel excited and not very lonely. You are less irritated, time passes by faster and you feel relieved. But this is temporary. Once the alcohol wears off, the problems come right back. In the long run, alcohol may cause depression. For most people, depression symptoms reduce once stop drinking. Depression can be treated with therapy or medication. However, effective treatment is impossible if you keep drinking. Just stop drinking, be positive and you will find it easier to deal with irritations, low energy, bad news and being lonely. Psychological effects of alcohol also include aggression. Normally, people develop inhibitions to keep their behavior towards each other civilized. However, these inhibitions are no longer present when you are affected by alcohol. Indulging in alcohol may lead to outbursts of aggression, which helps to explain the connection between alcohol and domestic violence. People under the influence are more irritable and may react to trivial issues with outbursts of violence. You cannot take a joke or put things into perspective when high. People will tend to avoid you since you become very unpredictable. If you become aggressive after drinking alcohol, think about changing your drinking habits for your own sake and those around you. Alcohol is frequently used as a sedative. However, you need more and more alcohol to sleep every other time. Alcohol interferes with the normal processes that occur in the brain when we sleep. Normal sleeping and waking up is usually affected by alcohol. If you get used to drinking before sleeping, you may find it hard to sleep when sober. It is therefore necessary to give your body time to adjust to a healthy sleeping pattern once you quit drinking. Self-harm and suicide are some of the psychological effects of alcohol. People tend to lose their inhibitions after taking alcohol leading to actions that could not have happened if they remained sober. People could harm themselves or even commit suicide. 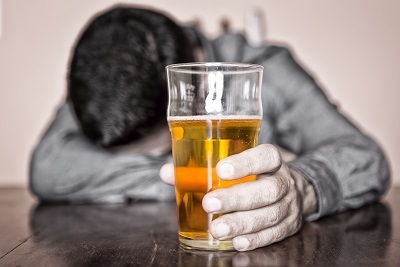 In Scotland, more than 50 percent of people who end up in hospital for deliberately harming themselves admit to having taken alcohol before or during the incident. Psychosis can be caused by extreme drinking which involves taking more than 30 units of alcohol a day for several weeks. Psychosis is a severe mental illness where one develops hallucinations and delusions of persecution. Heavy drinkers who suddenly stop drinking can develop psychotic symptoms associated to a condition called delirium tremens. Some of the symptoms include confusion and body tremors. Your brain processes can be slowed down by alcohol to the extent of impaired memory if you consume large amounts. That is why sometimes after a drinking spree, you cannot remember anything that happened the previous night when you went drinking. This is short term memory failure that does not necessarily indicate damaged cells. However, continuous heavy drinking sessions may cause damage to the brain since alcohol affect brain chemistry and other processes. Heavy drinking for a long period of time can cause permanent memory issue. People suffering alcoholism are usually in denial. They are unable to get the help that they need since they have not accepted their situation. People in denial about their alcoholism are known by their attitude towards drinking. Some may underestimate the quantities of alcohol they take or the problems they are facing due to drinking alcohol. They also tend to blame others for their drinking. Denial leads to someone suffering alcoholism believing that they are in control and they can stop drinking whenever they want to. 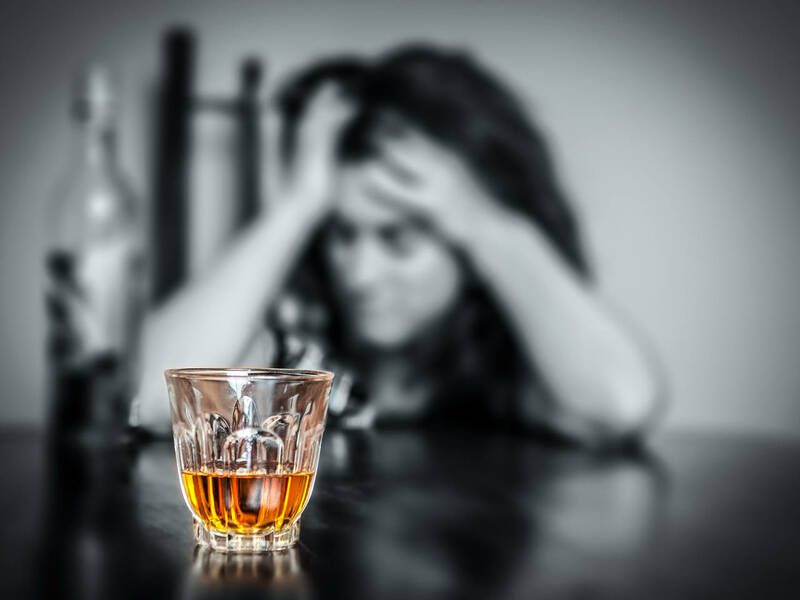 These psychological effects of alcohol are good reasons why you should really stop drinking, or at least control your alcohol intake to avoid permanent damage caused to your memory, physical health, and mental state. Set your drinking limit and ensure it is below the recommended guidelines. These guidelines state that women and men older than 65 years should not take more than one standard drink per day while men younger than 65 should not exceed two standard drinks a day. Older people and people under certain medication may find these limits too high though. Consult your doctor for what is right for you. Keep track of your drinking for about three to four weeks. Record what you drank, how much and where and compare this to your goal. Discuss your goal with your doctor if you have trouble sticking to it. Whether it is playing sports, taking a walk, catching a movie or going out to eat, just be busy doing something. You could pick up a new hobby to keep you occupied at home or revive an old one. It could be playing board games, painting or woodwork. It may not be easy to cut down or stop drinking. Seek support from your family, friends, counselor, therapist or doctor. Many people have tried several times before they cut down or stopped drinking completely. Despite the setbacks, be focused on your ultimate goal. This is a process that requires consistent effort.